There is something to love about every season and I am sure I say it each time the weather changes, but I do think Autumn may be my favourite. The memories of summer, the promise of Christmas and the ever changing environment to discover. The weather seems to change every day and it is all about layers for us as I can never quite tell whether it is arms out or jumpers on. 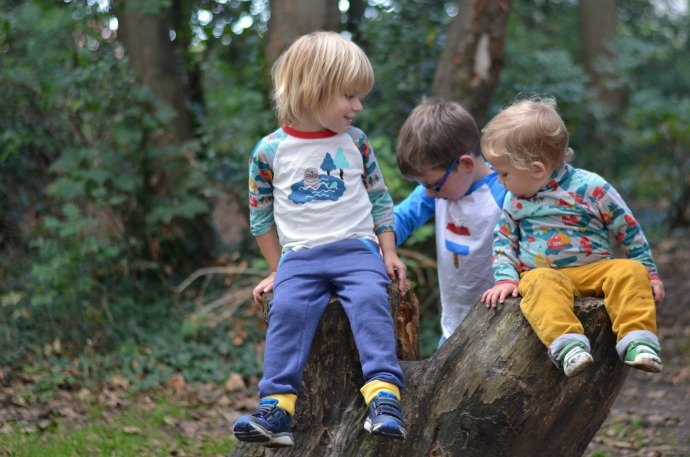 One of our favourite places to explore in the Autumn is the forest and Tootsa Macginty sent the children some clothes that were perfect for climbing, crunching, running and cuddling in. 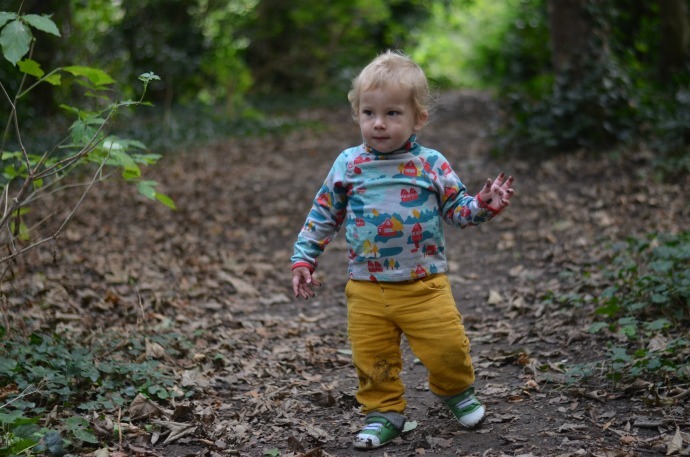 It is the first time we have been since Finn started walking and I love watching him discover things in a new way now that he is more vertical. He loves the freedom of being able to roam and his brothers mostly followed his lead - it is a lot easier than telling him no every time he walks away from us. 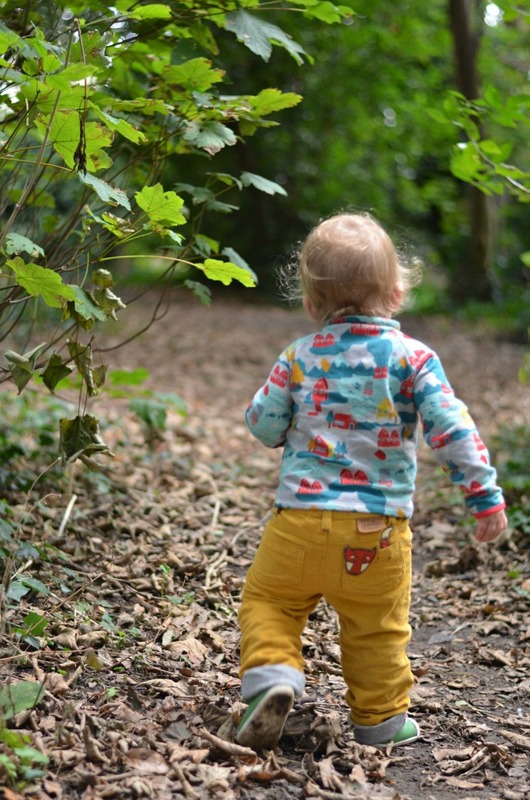 Finn is wearing some gorgeous yellow cords which are soft and lined with an adjustable waist. 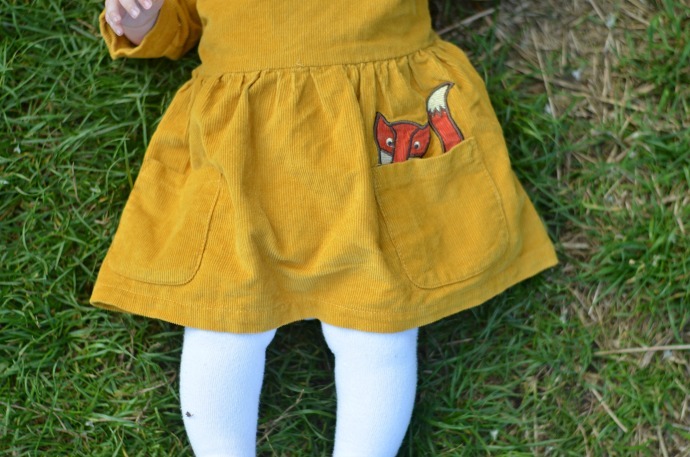 I love the colour and the adorable fox poking out the back pocket. They even have little fox details around the cuffs. His jumper is incredibly soft and even nicer in real life - probably my favourite piece from the whole collection. I love how unisex Tootsa Macginty clothes are as it makes them ideal to keep to pass down to Cora. The new collection is all so well co-ordinated that you can find a style to suit each of them and know that they look brilliant together. This Northern Lights collection takes inspiration from the dramatic scenery and magestic wildlife of Scandinavia. 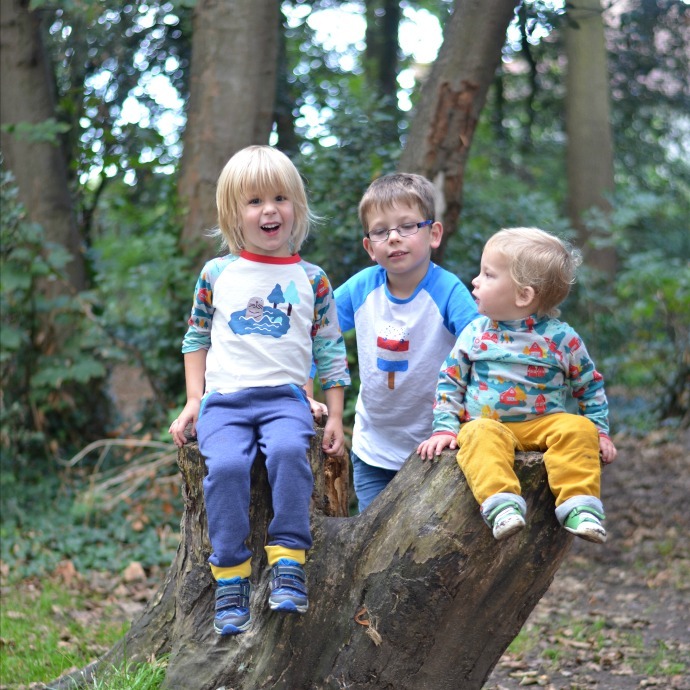 Archie's raglan sleeved top comes up small so definitely size up in this style. The sleeves have a village scene on them and match Finn's jumper which I love! Archie's trousers are like jogging bottoms but in a denim shade and they look so comfy. 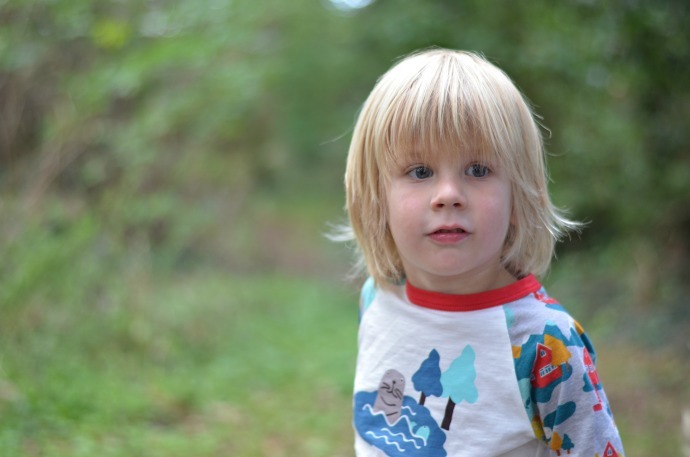 The waist is adjustable which is necessary on my super skinny boy and they are thick enough to keep him warm over the winter and protect him as he explores the woods. 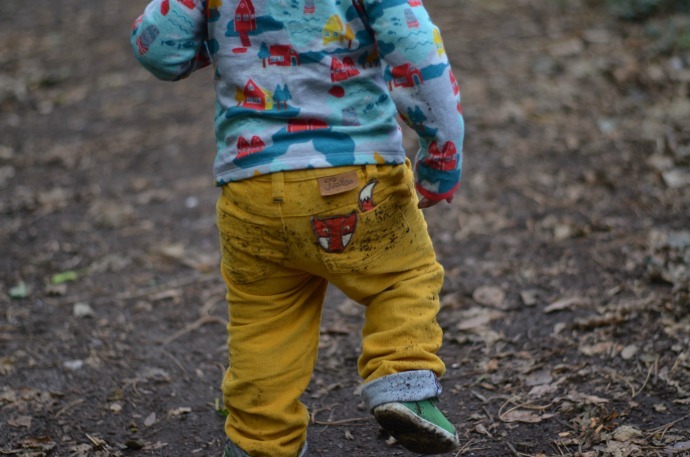 These clothes were designed to be played in and despite Finn crawling, climbing and falling, everything washed really well and looks as good as new still. 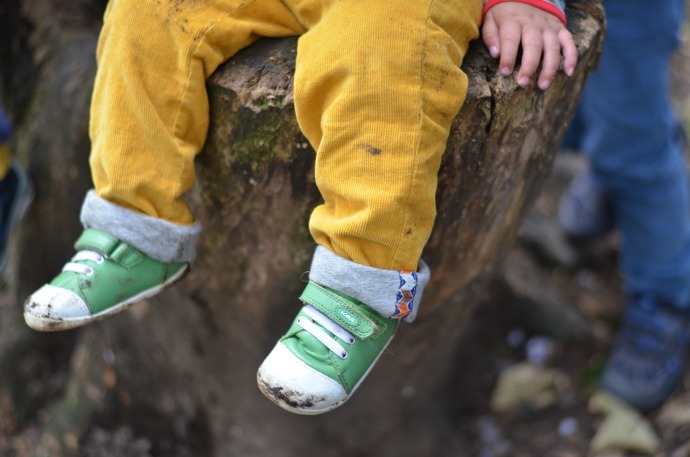 The cords seem to repel dirt and the white tops stay white even after lots of wear, and my boys are not the tidiest of eaters! 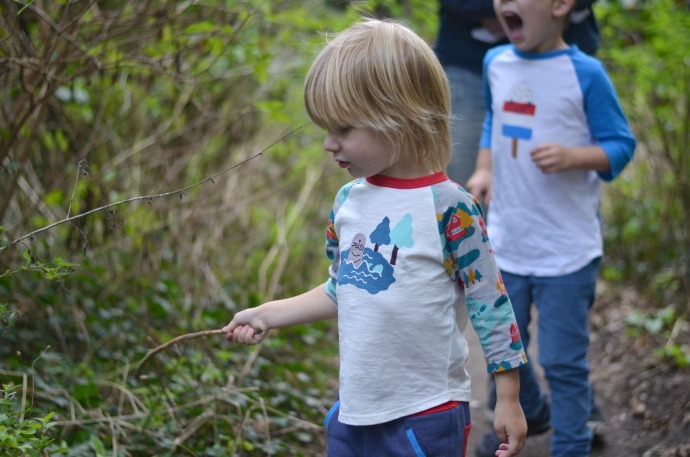 There is something so refreshing about being out in the woods - these big boys of mine who have suddenly developed an obsession with the tablet and x-box, need time away from technology where it isn't tempting them, and they get so much more from being outdoors. I want them to have a good balance and being somewhere so free really helps. 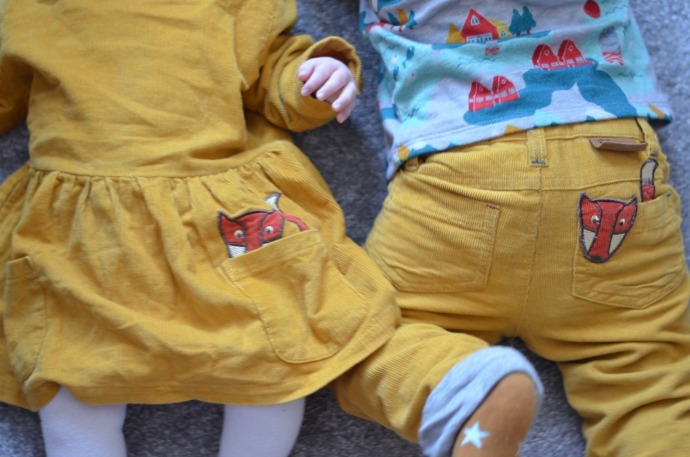 Cora was sent a new dress which matched her smallest big brother perfectly, even down to the little foxy pocket. This is a 6-12 month on my 3 month old so there is a lot of growing space but it is beautful and I just can't get enough of the mustard colour this season! I can't resist a bit of matching and I love how amazing these look together! The dresses are one of the only non-unisex things in the range. I have a new found love of all things girly though so I couldn't resist it for Cora. I want more days like this whilst it isn't too cold or wet, whilst the scenery changes week to week as new leaves fall and new colours line the paths. 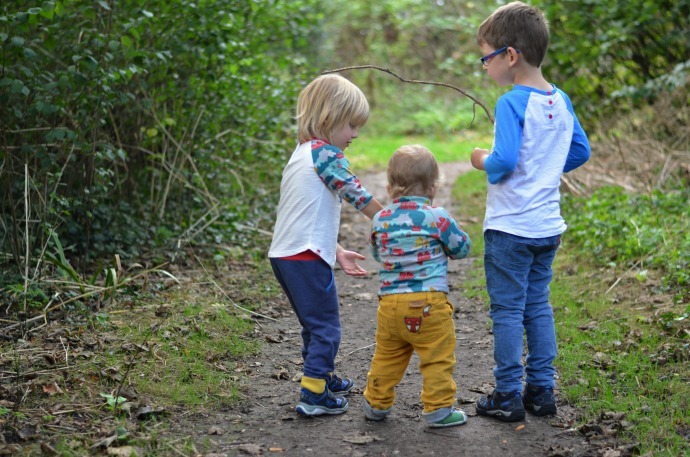 I want to watch the boys run and jump around in nature, playing their own special games and I want to carry Cora close as she experiences her first Autumn. 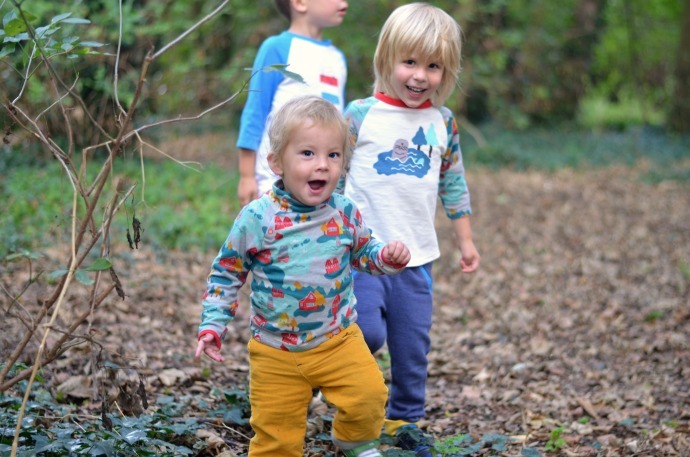 These Tootsa Macginty clothes are perfect for my little adventurers. 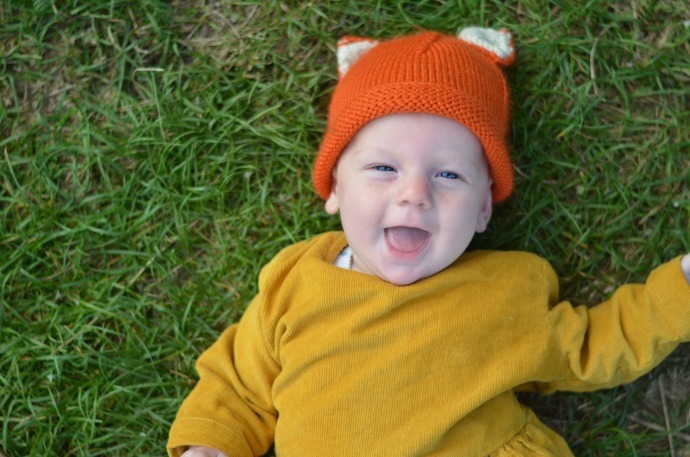 Thank you to Tootsa Macginty for Archie, Finn and Cora's outfits. 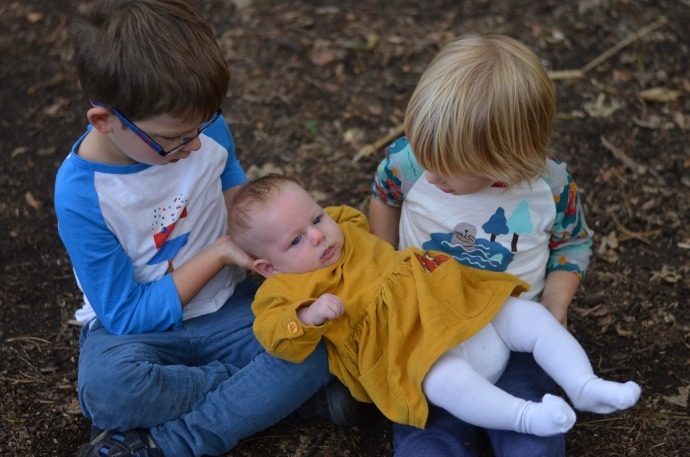 Everything pictured is from Tootsa Macginty including Cora's adorable hat (although Dylan's clothes are old summer stock so you may still find them in the sale) so check out their website!